May 30, 2018, 8:57 a.m.
Last week, in another dent to bricks and mortar retail, Homebase announced it had been sold to retail restructuring firm Hilco for a sum of just £1. Australian company Wesfarmers bought the brand for £340 million back in 2016. However, industry experts panned its strategy and management, accusing it of failing to appreciate the difference between what Australian and British consumers want and need. 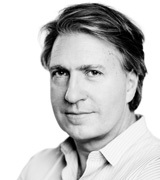 YouGov BrandIndex data enables us to see how news of the sale has initially affected consumer perception of the brand. 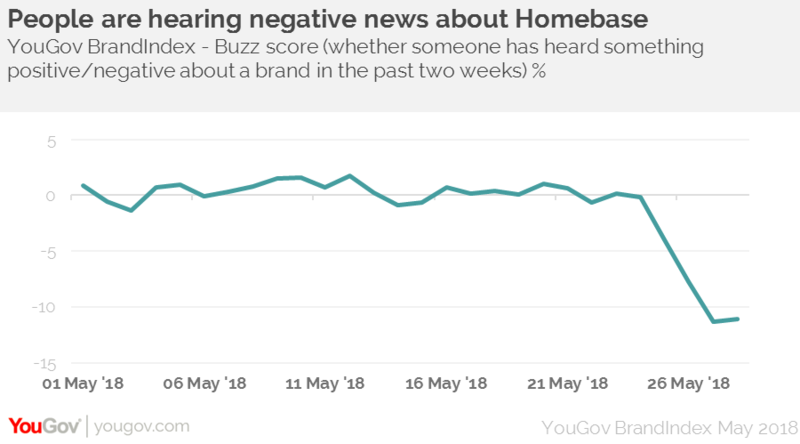 Homebase’s Buzz score (whether someone has heard something positive or negative about the brand in the past two weeks) dropped from a consistent score of 0 to -11. Not only that, its Word of Mouth score (whether someone has recently talked about a brand with friends or family) increased from +3 to +9, showing that people are not only hearing about it, they are discussing it too. Historical BrandIndex data underlines how Homebase’s popularity declined under Wesfarmers’ ownership. Among those with an opinion of the brand, its Quality score (whether someone thinks it represents good quality) is eight points lower now than it was before it took Homebase in 2016. Added to this, its Purchase Consideration (whether someone would buy from the brand) dropped from +36 to +32 over the same period. Despite this, Homebase is still a favoured brand among its target market. YouGov Profiles data shows that among those who enjoy doing DIY as a hobby, 32% have visited Homebase within the past month. Sharpening it’s in store look and feel could be a good way to get those shoppers (who consider DIY a pleasure not a chore) spending and retain them. As we enter summer, it is a crucial period for the brand as it looks to avoid encountering the same fate as other brands sold for £1, such as BHS. On the long road to recovery, Hilco’s plans to get the company ‘back to its roots’ needs to reverse some of the falls in consumer perception over the past couple of years.